Mr. Guss is an experienced leader and manager who provides consulting on strategy, governance and implementation of change. At present, he runs a consulting firm offering strategic advice to Boards and CEOs. His most recent executive role was Chief Executive Officer of the Ontario Medical Association (OMA) which serves and represents the 37,000+ physicians in the Ontario healthcare system. As CEO of the OMA for seven years, from 2005 through 2011, he led a staff of over 300 and worked with a Board of 25 physicians, focusing on planning and strategy, enhancing governance, implementing electronic medical records (EMRs) for over 9,000 physicians, and raising the level of physician leadership and public dialogue on healthcare system change. Prior to 2005, he was President and CEO of Credit Union Central of Ontario, the $1.5 Billion central banking facility and association for the $20 Billion network of 200 credit unions in Ontario, which he led for over 12 years. He negotiated the merger with BC Central which created Central1, a thriving central bank for credit unions. Mr. Guss has served on many financial services and healthcare boards. At present, he serves on the Boards of the Harvard University Alumni Association, the Pine River Institute, and Ecclesiastical Insurance, and as Past-President of the Harvard Club of Toronto and Chair of the University of Guelph’s Health for Life Advisory Board. Prior to his business career, Mr. Guss spent eight years in the federal government, five as a diplomat in the Department of Foreign Affairs. He holds an Honours BA in Economics from Harvard University and a law degree from University of Toronto. He is married and has two children. Ms. Pacuk is the President of MarchFifteen Consulting a firm that specializes in Strategic Talent Management. She has over twenty years of experience in her field and specializes in leadership and executive effectiveness. She is known to be an innovative and effective business partner. As a coach and assessor, she focuses on leveraging her expertise and experience to assist her clients in making the desired impact. She has a reputation for candour and responsiveness. Adept at identifying game-changing priorities, she provides pragmatic advice and practical solutions for achieving individual, team and organization-wide goals. As a consulting Partner, she engages Senior Teams in the alignment process, helping create a culture of collaboration and results-orientation. She works extensively with leading Canadian and international private and public organizations in finance and investment, insurance, aerospace, publishing and mining industries. As a keynote speaker, Ms. Pacuk is charismatic and engages audiences with her awareness of current trends, subject matter expertise and thought provoking questions. In addition to her law degree, Ms. Pacuk holds Masters Degrees in Industrial Sociology, Organizational Psychology and Adult Education. She also serves as a member of the Faculty for the University of Toronto’s MMPA program and is a member on the Board of Outward Bound Canada. She is certified in a variety of behaviour and personality assessments and is a Master Trainer in the Management Research Group (MRG) suite of tools. Claire Fainer has recently retired from her position as Executive Director of East Metro Youth Services [EMYS], an accredited community based child and youth mental health center in East Toronto and the Toronto Lead Agency for the MCYS Moving on Mental Health Transformation. While at EMYS Ms. Fainer led several key service innovations including community outreach programs with Chinese, Afghan and Syrian populations, Ontario’s Youth Outreach Worker Program, and Toronto’s what’s up walk-in clinic network. Ms. Fainer was a key player at both the municipal and provincial levels in program development and implementation, serving on government and sector initiatives ranging from system design to pathways to care. Her background includes many years of diverse work experiences with children, youth and families both in Ontario and Quebec to include community service centers, school social services programs, hospital-based psychiatric clinics and private clinical practice. She has also participated in a program designed to train indigenous community workers in Northern Quebec. Richard Fridman has been a partner with the law firm of Davies Ward Phillips & Vineberg LLP since 2004. He is a leading member of the firm's mining practice and has a broad range of experience in all aspects of corporate law and M&A, devoting a considerable amount of his practice to advising Boards and Board Committees on matters of corporate governance and various other legal issues. Richard is called to the Bars of Ontario, Québec and New York. He holds Bachelor of Civil Law (LL.L) and Bachelor of Common Law (LL.B.) degrees from the University of Ottawa where he graduated as the gold medalist, and a Masters of Law degree from New York University. Before joining Davies in 2002, Richard worked as a management consultant with McKinsey & Company. He also clerked with the Honourable Mr. Justice Charles D. Gonthier of the Supreme Court of Canada in 1998. He is married and has two children. Having witnessed first-hand the devastation caused by addiction, Mr. Fridman became involved with Pine River because of his belief in PRI’s mission to improve the health, development, and quality of life of youth and their families struggling with addiction and related mental health issues. He considers Pine River’s ability to offer renewed hope to youth and families to be unparalleled. Mr. Ghosh has more than 20 years’ experience in Technology and business consulting and outsourcing industry and worked with large global enterprise clients in various leadership roles across US, Canada, Europe and Asia. His professional experience includes P/L management, digital transformation, client relationship management, business development and account management, marketing , strategic program delivery and organizational transformation. Mr. Ghosh holds a Bachelor of Engineering from the Indian Institute of Engineering Science and Technology (IIEST), India and an MBA from the University of Massachusetts, USA. Mr. Ghosh is also Executive Committee Member of the Institute of Corporate Directors (ICD) - Ontario GTA West Chapter since 2015. 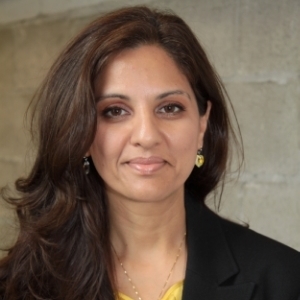 Ms. Mawani joined Crohn’s and Colitis Canada as President and CEO in April 2015. With 15 years of experience in non-profit, private sector, hospital, and government roles, she is now turning her attention to making Crohn’s disease and ulcerative colitis stop. For life. Ms. Mawani is an experienced leader and change navigator, guiding non-profits from vision to strategy to results. Applying her passion and enthusiasm to the Crohn’s and colitis community, she is deeply engaged with the issues that matter most to her constituents – finding cures and improving lives for the nearly 250,000 Canadians affected by these chronic diseases. Ms. Mawani serves on the Board of Women’s College Hospital and is a member of the International Women’s Forum Canada (IWFC). She has also recently been appointed to Seneca’s Board of Governors. She has held a number of leadership roles, including President and CEO of the Canadian Women’s Foundation, Chief Development Officer and Executive Committee member at Civic Action, and CEO of the Aga Khan Council for Canada. Earlier in her career, she held key roles at the Ministry of Health and Long-Term Care, KPMG, and PricewaterhouseCoopers. Ms. Mawani holds a Master’s Degree in Health Science/Health Administration from the University of Toronto, a Bachelor's Degree in Administrative Studies from York University, and a Diploma in Nuclear Medicine Technology from the Southern Alberta Institute of Technology. As a Global Client Serving Partner, Kevin is focused on leading EY’s Exceptional Client Service market strategy in the banking and capital markets sector. Kevin has held various senior leadership positions at EY. Prior to his current role, he was in EY Global in the UK where he served as the Global Director of EY’s Office of the Chair Accounts program. In this role, he was responsible for developing and leading our major global client relationships strategy. Kevin has also served as Global Markets Leader for EY’s Global Transaction Advisory Services (TAS) practice. As a member of the TAS executive committee, he was responsible for implementing a global client service and accounts platform. In the US, Kevin served as the firm’s Americas Director of Business Development for Technology and Security and Risk Services, and before that, was Managing Partner of Business Development for the Canadian firm. Kevin was also the Senior Vice President and Head of Origination in the capital markets division of a major Canadian bank. He successfully developed and implemented a Business Banking Board recognized global best practice relationship management approach. Kevin is active in promoting board diversity, and mentoring young professionals. He also served on the board of the Learning Disabilities Association of Ontario. Dr. Mulvale is an Associate Professor of Health Policy and Management and Director of the MBA Health Services Management Specialization (HSM) at the DeGroote School of Business, McMaster University. Dr. Mulvale’s research program focuses on co-designing mental health system improvements based on the lived experiences of transitional-aged youth (16-25 years), family/caregivers and service providers, and understanding success factors and barriers to their implementation and spread. Her lab has developed an award-winning suite of smartphone and web applications (myEXP) to gather data on health and social care experiences from the perspectives of transitional-aged youth, family members and service providers to inform real-time quality improvement. Dr. Mulvale also researches integration of peer support in clinical settings, and previously led the development of a child and youth mental health and addictions policy framework, currently being implemented in Yukon. Dr. Mulvale studied economics at Waterloo (1983) and Western (1984), and worked as an economist until 1999 at Finance Canada, General Motors of Canada, and Ontario Hydro. Following lived experience of postpartum depression, Dr. Mulvale began her doctoral studies in Health Research Methodology at McMaster in 2001. Her dissertation focused on issues in mental health policy and service delivery in Canada. Dr. Mulvale completed a post-doctoral fellowship as an embedded researcher within the Primary Care Team at the Ontario Ministry of Health and Long-Term Care. In 2008, Dr. Mulvale joined the newly formed Mental Health Commission of Canada as Senior Advisor, Mental Health Strategy, where she helped to lead countrywide stakeholder consultations that informed the framework for the strategy. In 2010, Dr. Mulvale joined the Canadian Foundation for Healthcare Improvement, as Director, Healthcare Financing and Transformation, where she commissioned expert knowledge syntheses and hosted stakeholder dialogues on healthcare financing to inform anticipated Health Accord negotiations. Dr. Mulvale is a member of McMaster’s Centre for Health Economics and Policy Analysis (CHEPA) and the Michael G. DeGroote Health Leadership Academy. Patrick is currently a Principal at Santis Health. He brings over fifteen years of public affairs and communications experience to the team at Santis. Prior to joining Santis, Patrick served as the Executive Director of Public and Corporate Affairs at the Ontario Medical Association (OMA), the voice of the province’s 34,000 physicians. Over almost ten years, he led the OMA through several strategic communications campaigns, a comprehensive governance review, as well as a major rebranding of the organization. Under his tenure, member satisfaction with the OMA doubled to a record high and, over the course of a five-month advocacy campaign, the profession witnessed a remarkable 12 per cent increase in public trust. Patrick also worked in senior communications roles in the Ontario government, as an aide to Ontario’s Minister of Health and as Director of Communications to the Minister of the Environment and to the Minister of Education. John Sinclair is a Partner, Baker Tilly WM LLP providing business advisory and audit services to public and private companies in a wide range of industries. With more than 25 years of experience, John has worked on over 100 Initial Public Offerings and other related offering documents. John is the Managing Partner of Baker Tilly WM’s Toronto office and is leading the growth of the firm in Toronto and Vancouver as a member of the firm’s Management Committee. He also serves as the International Business Leader to Baker Tilly International and in this capacity facilitates the in-bound and out-bound flow of international engagements for Baker Tilly WM LLP in Canada. John is married with three sons, one of whom is a successful graduate of the Pine River Institute program. Athena is the Senior Vice President, Cards for RBC. She is responsible for the overall strategy for RBC’s retail, small business, commercial and prepaid cards, including acquisition, digital strategy, co-brand credit cards, value added services, and sales and client engagement strategies. Prior to her current role, Athena was the Vice President, Global Loyalty Programs & Rewards for RBC, and was responsible for the strategic direction of the RBC Rewards program, including creating roadmaps for future digital and platform infrastructure, and partnering with other areas of Digital, Payments & Cards to continue to drive market leadership. Athena joined RBC in March 2015 from AMEX Bank of Canada, where she was Vice President and General Manager of Small Business Services. In that role, she was responsible for strategy and experience, business and product development, acquisition and sales and delivery. Prior to that, Athena held a number of senior leadership roles within different divisions of American Express, including acquisitions, strategy, online and mobile, customer engagement and strategic partnerships. Athena is dedicated to giving back to the community, and has acted as the Canadian Banking co-chair for the annual RBC Employee Giving and United Way Campaigns for several years. Dr. Weisdorf is a staff Family Physician at St. Michael’s Hospital. She is an Associate Professor in the Department of Family and Community Medicine at the University of Toronto. In her clinical work, she practices as part of the Inner City programme at St. Michael’s Hospital. Her area of expertise is Addiction Medicine. The clinic at which she works provides care to the most marginalized populations; people with substance abuse disorders, HIV/AIDs, transgendered people, homeless and under housed, refugees and mental health disorders. Dr. Weisdorf graduated with a B.Sc. in 1985 and a M.Sc. in 1987 from McGill University. She completed her MD in 1991 from Memorial University of Newfoundland. She did her Family Medicine residency at the University of Toronto between 1991 and 1993. In 1995, she and her soon-to-be-husband went to Cleveland, Ohio where she completed a Fellowship in Addiction Medicine and Academic Family Medicine. The following year, they returned to Toronto, where she began working in the Department of Family and Community Medicine at the Wellesley Hospital. This was soon merged with St. Michael’s Hospital and she has worked at the same site since 1996. Dr. Weisdorf has been involved in several community organizations, in various volunteer capacities and continues with this as a high priority in her values in giving back to the community. Dr. Weisdorf is married with two teenage daughters and a crazy yellow lab.